For many moms, nursing is a big part of bringing home a baby and can extend throughout the whole first year or beyond. For such an important item that you and your baby will use frequently, it’s important to do some due diligence and find the perfect nursing pillow that will work best for you. This review is going to specifically look at the Boppy nursing pillow. I would probably consider this pillow to be one of the most popular nursing pillow on the market today, but let’s put it to the test to see how it performs. 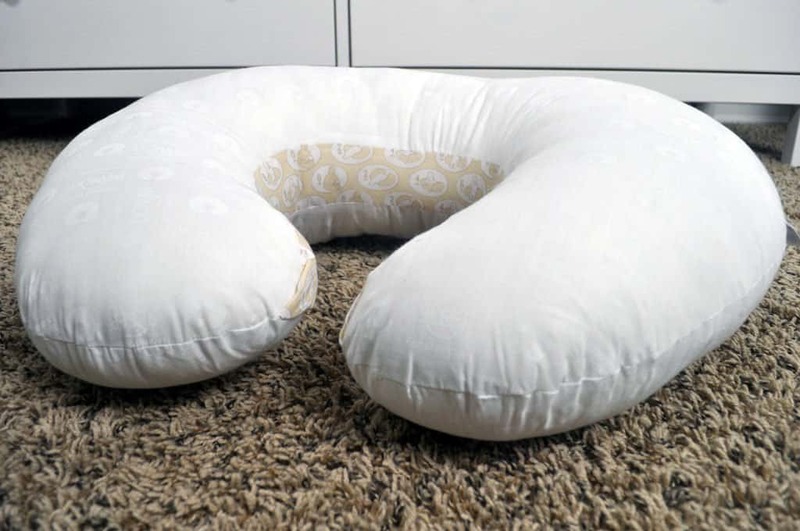 The Boppy nursing pillow is filled with virgin polyester fiberfill and is upholstered in a white cotton blend fabric – 90% polyester and 10% cotton. The standard pillow is sold “Bare Naked” meaning there is no removable, protective cover besides the thin white fabric. They do, however, sell slipcovers that are a perfect fit for these pillows. Fabric options range from soft cotton blends to minky plush or organic cotton. Both the slipcover and the actual pillow are machine washable so it makes cleanup a breeze for when there’s a spill. That being said, the fiberfill is a bit scratchy and lacks the softness of higher quality polyester blends. To keep this pillow from getting lumpy during washes, it is recommended to dry it with a tennis ball to help retain its shape. As a final note, this pillow contains no phthalates, latex, led, or BPA. 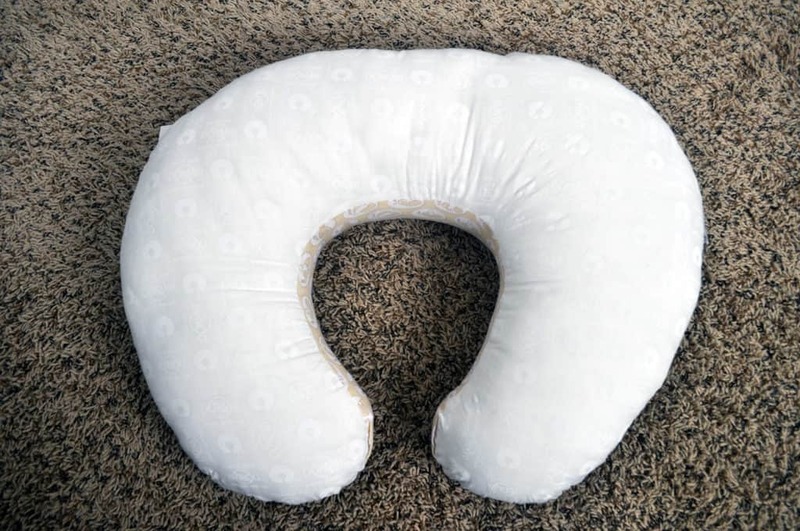 This pillow serves a variety of functions, ranging from a nursing pillow, to an infant support pillow to a tummy time pillow, serving some purposes a little better than others. As a nursing pillow, I would rate this pillow a B+. It can be tricky to get the pillow situated just right and the pillow itself feels a bit rigid and hard to mold around your body. 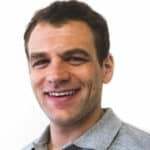 That being said, it is very supportive and does a great job of propping up to the right height for nursing without having to bear the entire weight of the baby in your arms. Does this mean ‘hands-free nursing’? I wouldn’t say so, unless you’re a pro, but it does make it easier. As an infant support pillow, I give the Boppy an A+. It is very supportive and baby Graham loves to lounge back in this pillow. It’s great for one-handed bottle feedings or to just let the baby sit up and look at the sights. It is supportive and dense enough that you also don’t have to worry about your little one sinking into the middle of the pillow or having it slide back behind them. That being said, please note that it is never safe to leave a child unattended while seated in the Boppy. As a tummy time pillow, I would give the Boppy an A-. This will be a great asset once Graham gets a little older, but for smaller babies, the pillow is just a little too large to comfortably perch them up onto the pillow. Yet, the sides do provide nice support to help keep the baby centered on the pillow. Overall, the Boppy Bare Naked nursing pillow is a nice product to have in your home when raising a little one. Although, it has some shortcomings, its lower price point makes the Boppy one of the most economical choices on the market, especially if you are planning to forgo the added cost of the slipcover. Additionally, the versatility of this nursing pillow makes it a staple you can use for many months or even throughout the whole first year and beyond. For more information on the Boppy Bare Naked nursing pillow, check out their product listing on Amazon.com. Is the Boppy the definitive perfect nursing pillow? Certainly not. However, it is quite economical and offers a nice degree of versatility as a combo nursing pillow, baby lounger, and tummy time pillow. For $30 it’s a hard value to pass up.